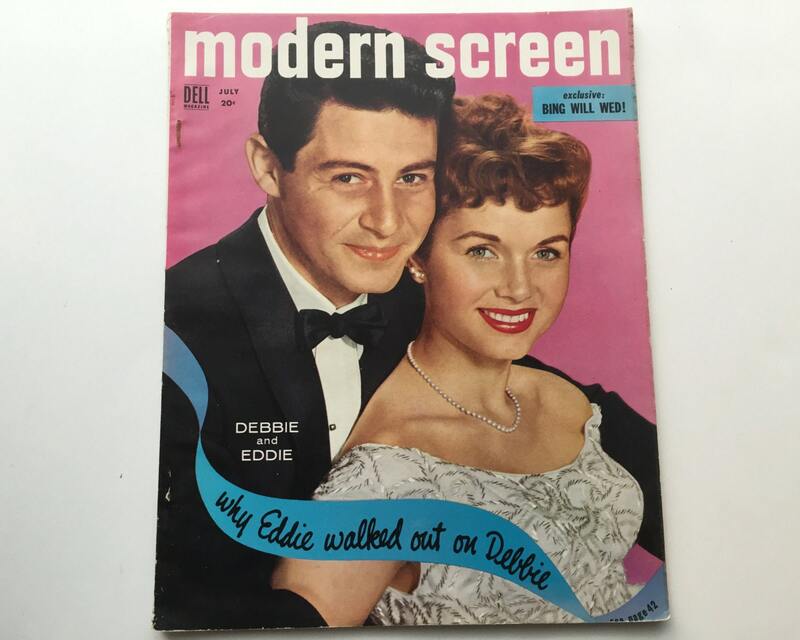 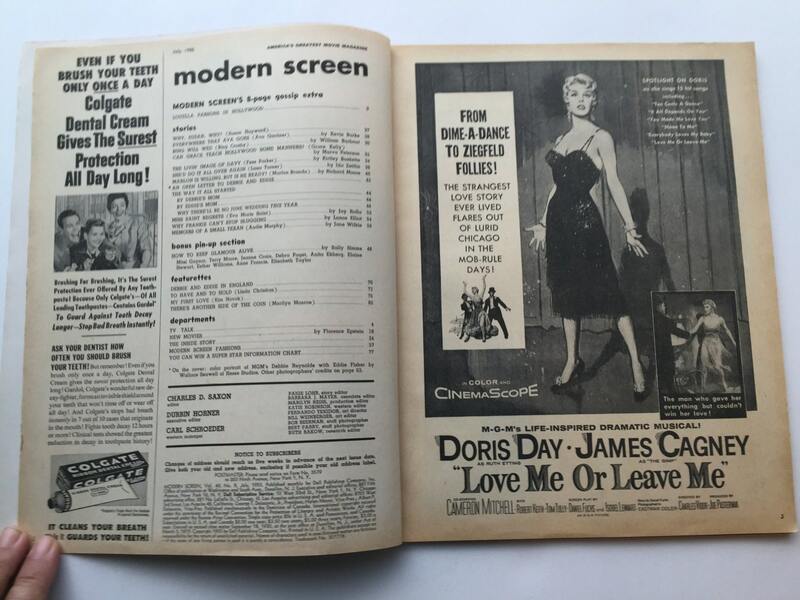 Fun copy of Modern Screen magazine from July 1955 featuring Eddie Fisher and Debbie Reynolds (Carrie Fisher's mom and dad) on the cover, and inside it dishes the dirt on their seperation. 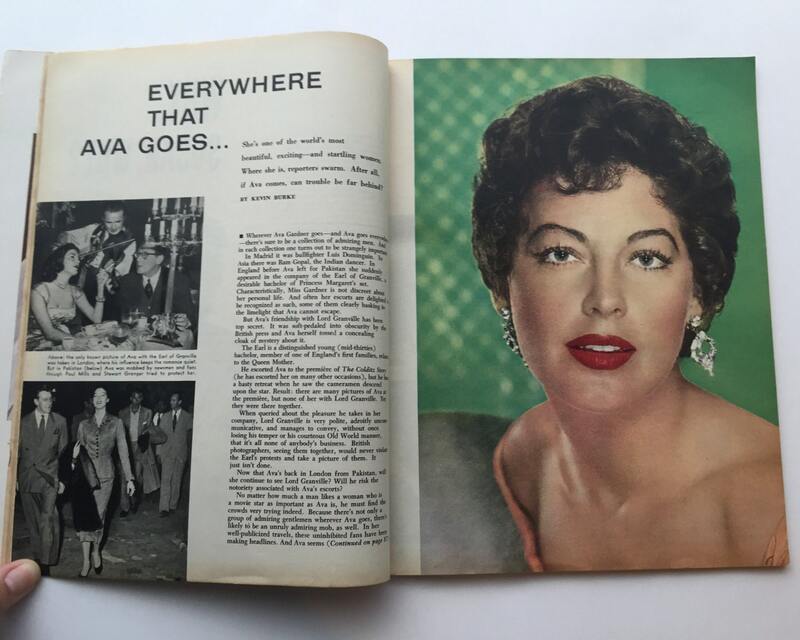 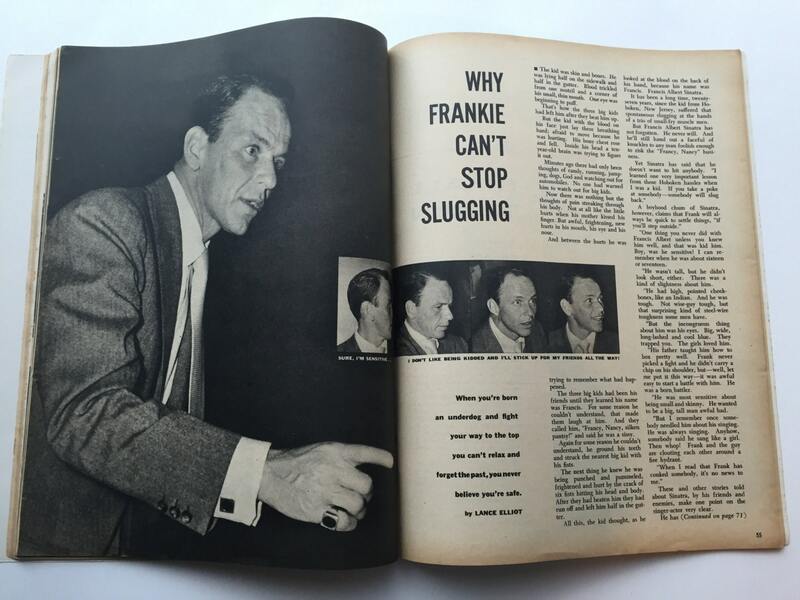 There is news of Bing marrying, and an article about Ava Gardner, why Frank Sinatra is so scrappy (little skinny fella), and Susan Hayward's suicide attempt, along with pleny more celebrity gossip, and glamorous photos of classic movie stars from the Golden Age of Hollywood. 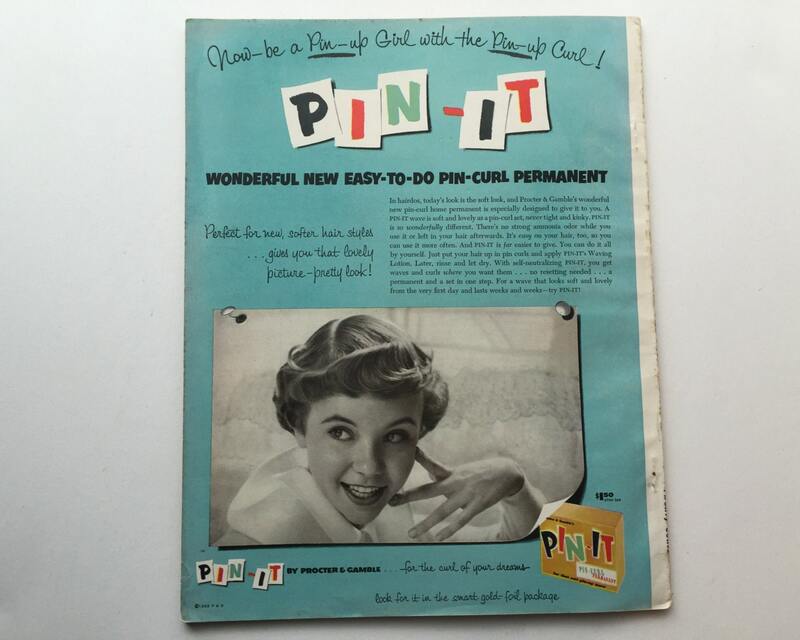 CONDITION: Very good with some wear on the top and bottom of the spine, and a few discoloration spots on the spine.